When applying for any position out of law school – a clerkship, a law firm, a government office – the name of the game is making your resume stand out in the pile. Everybody knows the drill, right? Good grades plus glowing recommendations equals strong candidate. But there are, of course, plenty of other ways to ensure your resume, and thus your candidacy, stands out among the crowd. At the top of this list is publishing a student note or comment in a law journal. Whether you are on a journal or not, you should absolutely consider this opportunity, which not only showcases critical thinking and writing skills, but also demonstrates initiative and interest in a particular area of the law. So, the million-dollar-question: what are journals looking for when they select for publication? The four steps below are designed to help you write an article that fits the bill and will bring you one step closer to getting published. If there is one thing that you take away from this post, let it be this: select a topic so specific that it almost feels too specific; I promise you, it isn’t. The temptation to write about big topics is understandable – who wouldn’t want to analyze the Supreme Court’s decision in Citizens United or weigh in on the unified executive theory. But remember, this is not a survey or a treatise, this is a single article that should be driving toward a clear, coherent, and concise point from page one. The worst thing you can do – to yourself and, more importantly, to your reader – is to over-promise and under-deliver. You only have so much space to lay out your argument – make every word count by keeping it focused. After you have chosen your legal universe, continue to whittle down your topic: Civil Rights > Prisoner’s Rights > Prison Litigation Reform Act > administrative exhaustion under the PLRA > exceptions to exhaustion > What if an inmate is unable to properly exhaust in compliance with the PLRA because he has been subject to disciplinary action within the facility? This is just one example of how you get from point A to point P (for published, duh). You want to choose a topic for which you have a natural appetite, because, as with anything worth doing, there will be days that you just don’t feel like it. Choosing a topic that motivates you to sit down at the computer every day is half the battle. If you are bored with the substance, there is a higher likelihood that you throw in the towel. And there is no question that passion and interest fuel good writing. The third tip is one that, unfortunately, most will not consider until they are too far down the road to address it; that is, the pool of potential faculty advisors with relevant expertise. 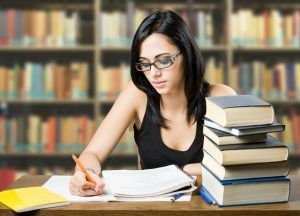 If you plan to seek guidance from or confer with a member of your law school’s faculty as you write, which is generally well-advised, keep in mind who would be eligible to help. It sort of boils down to a chicken-and-egg issue: if you really want to work with a certain professor, you should make sure you pick a topic in their field; if you really want to write about a certain topic, you should make sure there is someone available with relevant knowledge. Speaking with faculty members is also a great place to start brainstorming topics. This final tip is a two-for-one. First, you want to be sure that your piece is relevant insofar as it is timely. Don’t be scared to skim the headlines for inspiration. Despite the dust-covered periodicals that might come to mind when you hear the words legal journal, journals are businesses with a financial interest in staying relevant to their customer-base. An article that “breaks” a legal issue or question is what every journal wants (but beware of the big-topic pitfall described in number 1). Second, you want to make sure that your argument is timely insofar as it has not been made by someone else already. This is sometimes referred to as “preemption.” Note: your argument is NOT preempted just because someone has written about your topic before. Articles can be very similar and still make different points. Keeping these tips in mind as you select your topic and start writing will have you off to a great start on your journey to publication. If you are truly stumped on what to write about, one great resource is previous law journal articles, which often conclude by identifying questions calling for further research (a scholarly lay-up, if you will). This is equally true of casebooks and treatises. Bottom line: keep your eyes, ears, and mind open – topics are everywhere just waiting to be turned into pieces published by you! For the 2017-18 term, Kelsey Russell served as a judicial clerk for the Chief Judge of the Southern District of New York. This year, she will begin work as an associate at a large law firm in New York. Kelsey graduated from the University of Pennsylvania Law School in 2017, where she was an Executive Editor for the University of Pennsylvania Law Review. She had the honor of being published in the 165th volume of the Law Review for her student comment, Cruel and Unusual Construction: The Eighth Amendment as a Limit on Building Prisons on Toxic Waste Sites. Kelsey earned her undergraduate degree from the College of the Holy Cross, where she studied English and Women’s and Gender Studies.